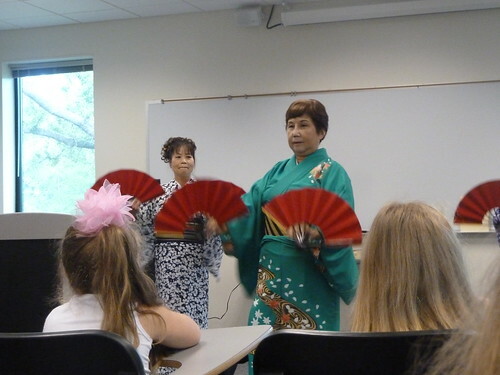 Recently we went to the Japan House at the University of West Florida with the Kindergarten class from Jay Elementary. The teachers and students at the Univ. 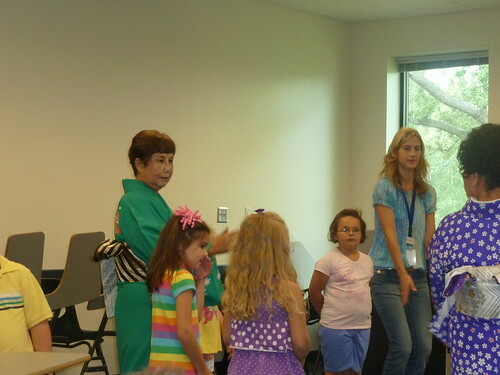 West Florida teach the kids how to bow to show respect, make origami people, and dance a few cultural dances. The kids had a great time. For lunch we went to the Tokyo Dining for lunch. 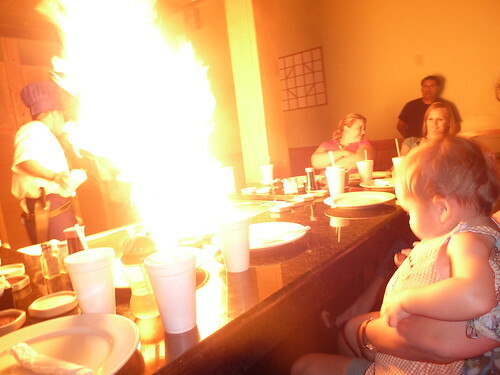 Luke was not thrilled with this flame. In fact, we had a hard time keeping him at the table after this. The flames were HUGE! 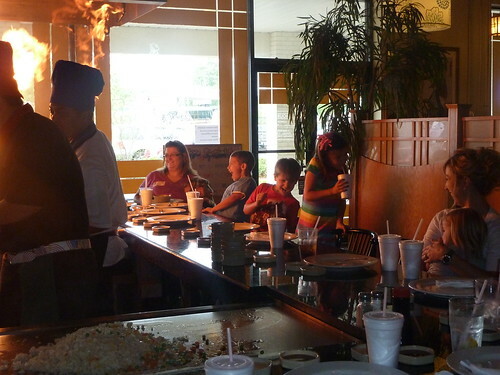 Here is Anna and her friends when the flame at her table went up. 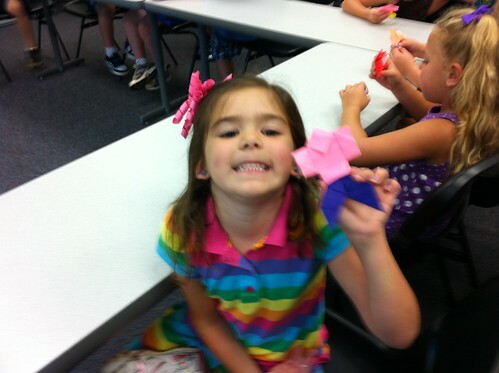 Here is Anna’s pink and purple origami person. 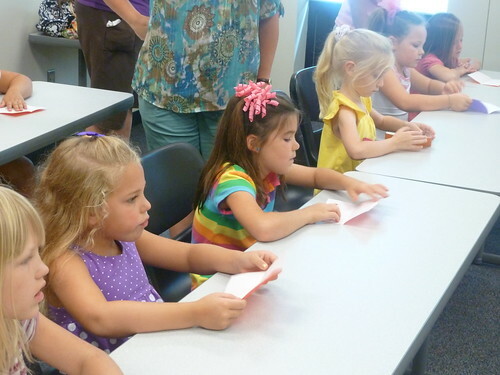 Anna and Josie are making their origami people. Here is Anna and Josie attempting the dance that the ladies showed them. Here is a video of Anna ‘dancing’ with the ladies. Here is a video of Anna doing a three count bow.